Technology advancements which got united with the rapid increase in the number of smartphones, broadband connections, and innovative debt solutions are making the growth in online shopping. But the cut-throat competition makes it more essential for organizations to associate with an e-commerce web development business to maintain an edge over the competition. Online shopping these days has become an exhilarating experience for many users. They also like that shop-from-being-home experience and always buy products only if they can easily use and access the website. Any business requires a custom-made method that leverages the present day technologies and know how to efficiently convert casual browsers into loyal customers. 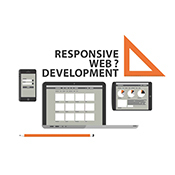 It might be a company’s first website or a company that has established an online presence, the goals can be same at all times; to meet the customer desires and to grow the business. Some of the Customers are still cautious of using credit cards on websites; so they need to be convinced and make them trust that the website is 100% secure and data breaches of any form are extremely unlikely. With the expertise we have, we work closely with the consumers find the solution that apt the terms include add-on plugins and other customization required. 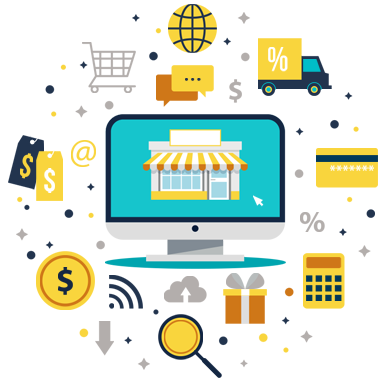 We develop ecommerce websites which give online customers an engaging experience that builds brand excitement and earns online businesses game-changing conversions, customer trust which increases the ROI. The foremost thing that draws customers to the store is the attractive website that features the products and everything else comes later. For the e-commerce stores, having a dominant display will become even more vital as the digital image is the only factor that pitches online business products/brand to the users and impacts them to make quick and right purchase decisions.